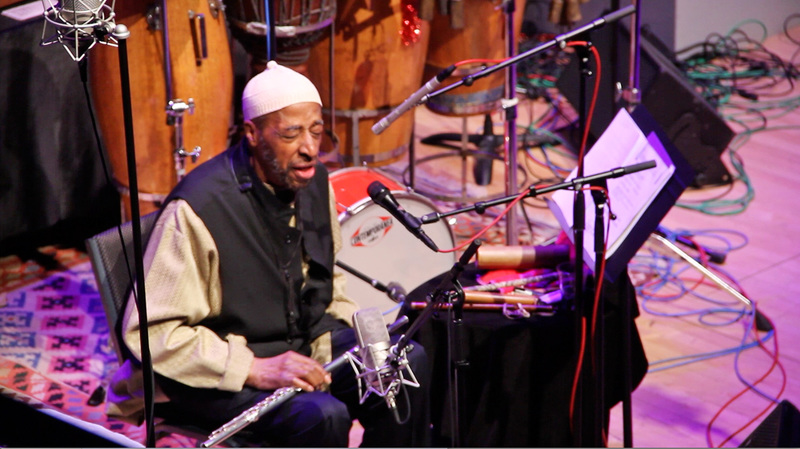 At 92 years of age Yusef Lateef is one of the greatest living masters of African-American improvised music. This will be the first full evenings concert of his music in NYC since 2000, when he was honored at AliceTully Hall for his 80th birthday. It will include 3 premieres of his through composed works and a performance of Yusef Lateef in his longstanding duet collaboration with Adam Rudolph. They have been performing as a duet at festivals and concerts worldwide since 1990. 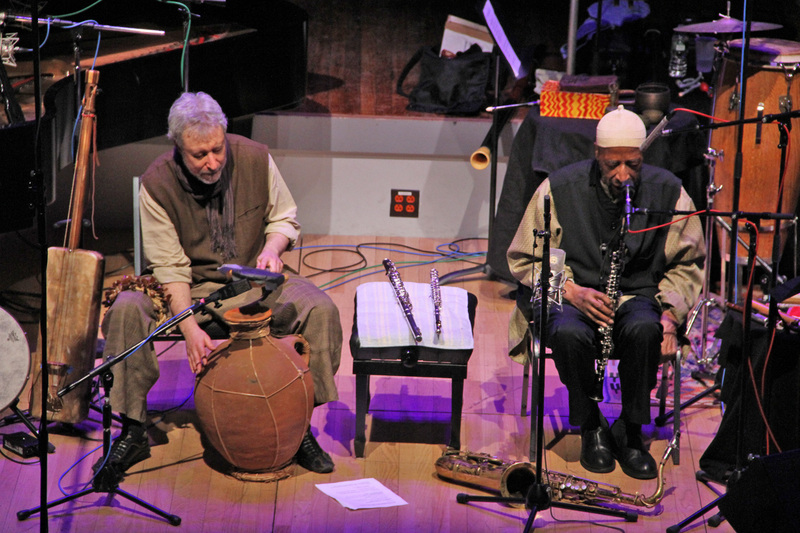 In the fall of 2012 they toured Italy and in January of 2010 they performed at Lincoln Center as Dr. Lateef received the NEA Jazz Masters Award. 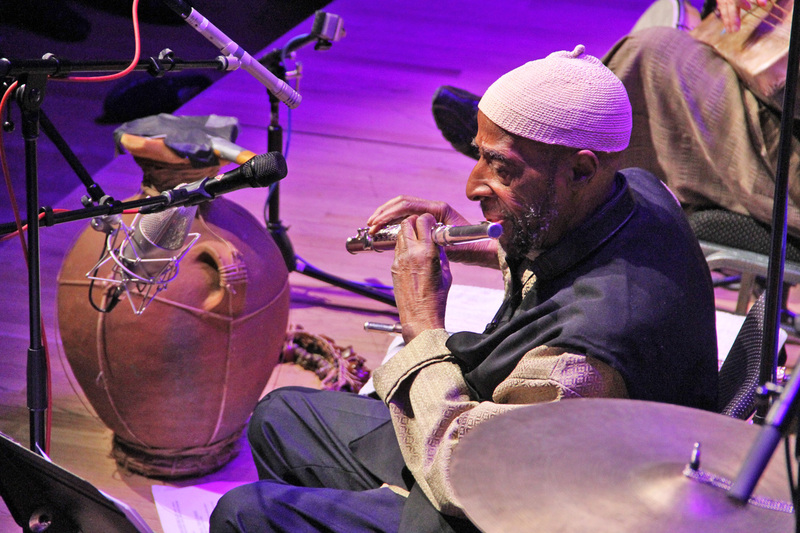 Yusef Lateef is a Grammy Award-winning composer, performer, recording artist, author, visual artist, educator and philosopher who has been a major force on the international musical scene for more than six decades. In recognition of his many contributions to the world of music, he has been named an American Jazz Master for the year 2010 by the National Endowment for the Arts. 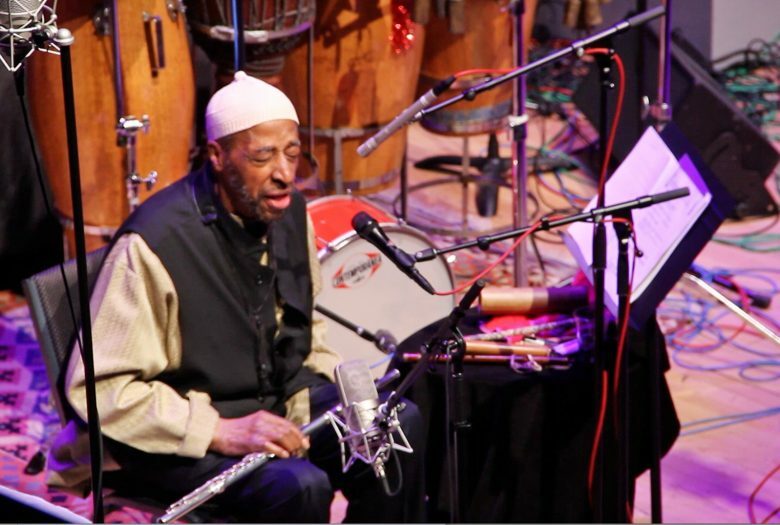 As a composer, Yusef Lateef has compiled a catalogue of works not only for the quartets and quintets he has led, but for symphony and chamber orchestras, stage bands, small ensembles, vocalists, choruses and solo pianists. His extended works have been performed by the WDR (Cologne), NDR (Hamburg), Atlanta, Augusta and Detroit Symphony Orchestras, the Symphony of the New World, Eternal Wind, the GO Organic Orchestra, and the New Century Players from California Insitute of the Arts. 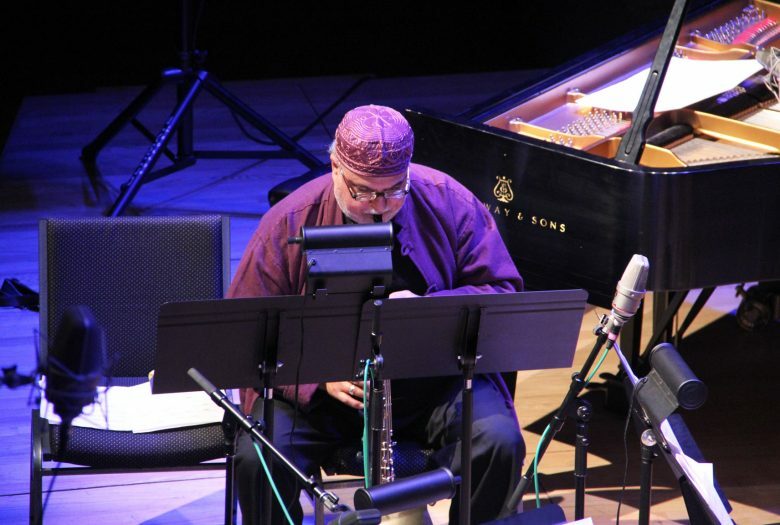 In 1987 he won a Grammy Award for his recording of “Yusef Lateef’s Little Symphony,” on which he performed all the parts. His latest extended works include a woodwind quintet, his Symphony No.2, and a concerto for piano and orchestra. 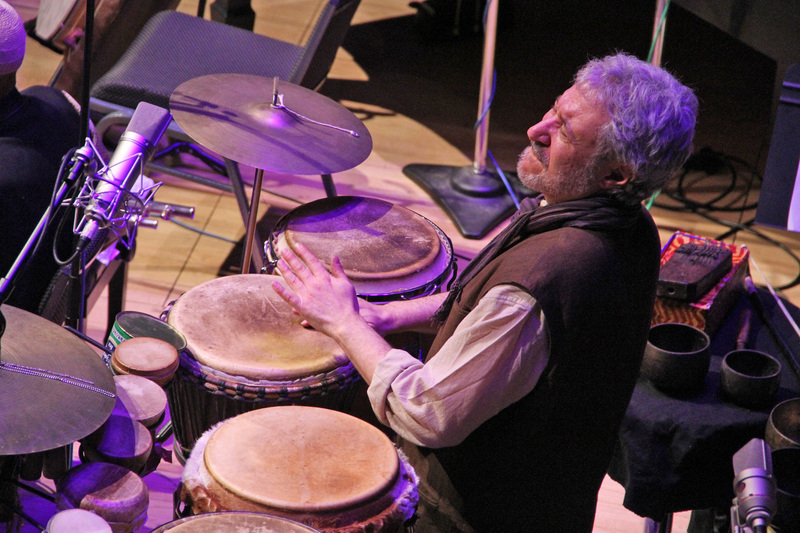 For the past 3 decades percussionist and composer Adam Rudolph has performed throughout N. & S. America, Europe, Africa, & Asia. 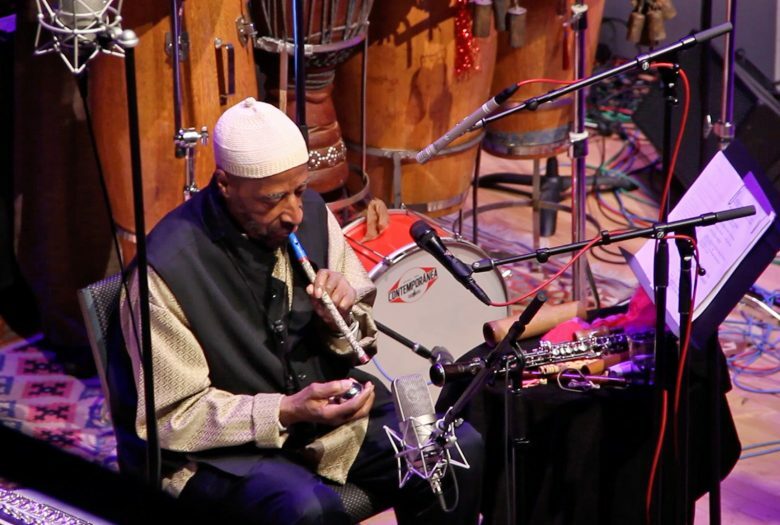 Called “a pioneer in world music” by NY Times he has released 25 recordings as a leader, featuring his compositions and percussion. Rudolph composes for his Moving Pictures Octet and Go: Organic Orchestra, a 42 piece group for which he has developed an original music notation & conducting system. 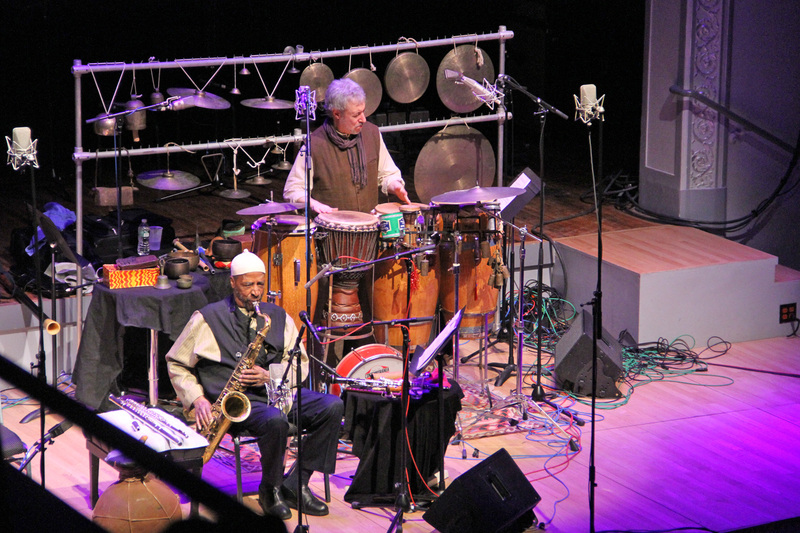 He has performed w. Yusef Lateef, Don Cherry, Jon Hassell, Pharaoh Sanders, Shankar, and Omar Sosa. 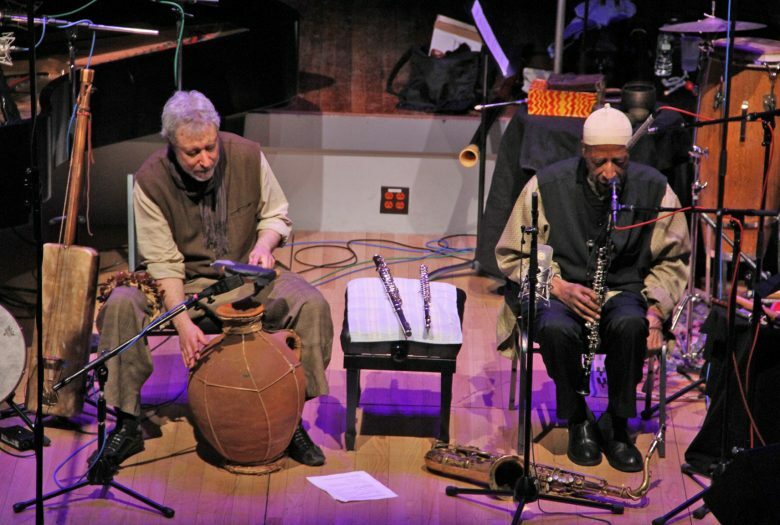 In 1978 he & Kora player Foday Musa Suso founded Mandingo Griot Society, among the first groups combining African & American music. 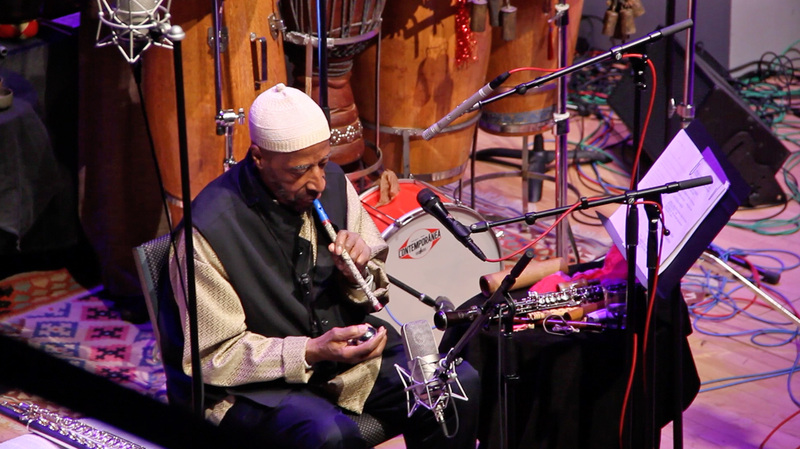 In 1988, he recorded the first fusion of American & Gnawa music w. Hassan Hakmoun. In 2006, his repository and methodology book, Pure Rhythm was published by Advance Music, Germany. He has received grants & commissions from Rockefeller Foundation, Chamber Music America, Meet the Composer, NEA, Arts International and American Composers Forum. 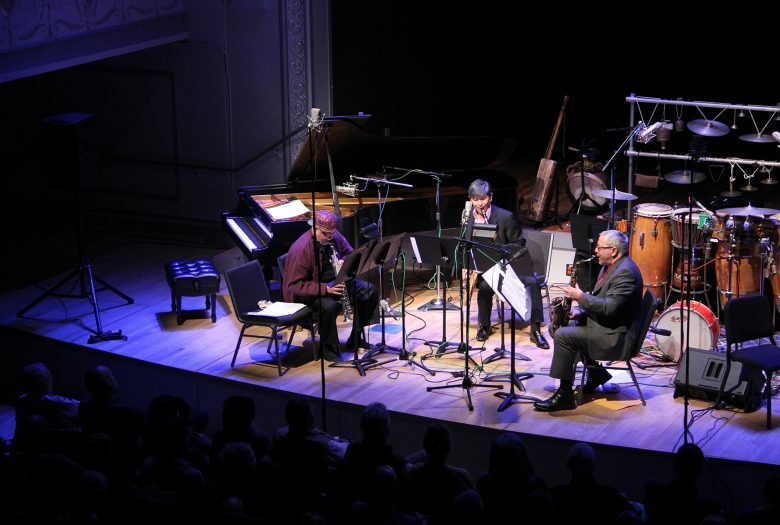 Praised by the New York Times for its “focused, fluid performance” and by Sequenza 21 for its “fire, fantasy and absolute musical commitment,” the Momenta Quartet has premiered over 50 works in the past eight years and has collaborated with over 80 living composers. Now in its ninth year in residence at Temple University, Momenta has also performed and lectured at Cornell, Columbia, Yeshiva and Hawaii Pacific Universities; Bryn Mawr, Swarthmore and Haverford Colleges; The Mannes School of Music and the Boston Conservatory; among others. The quartet has performed in England, Singapore and Indonesia and has received grants from the Koussevitzky Music Foundation, Meet the Composer, the Aaron Copland Fund, the Brooklyn Arts Council and the New York State Council on the Arts. 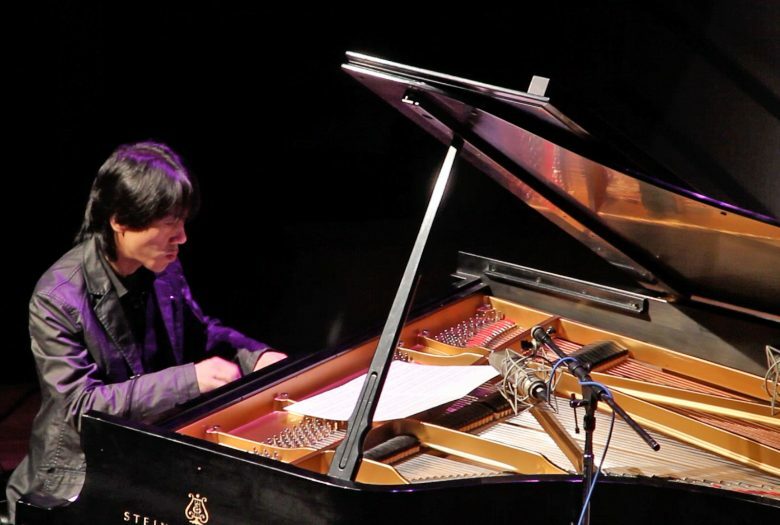 Critically acclaimed pianist Taka Kigawa earned outstanding international recognition as a recitalist, soloist, and chamber music artist since winning the Diploma Prize at the 1998 Concurs Internacional Maria Canals De Barcelona in Spain, with such accolades from The New York Times as “Mr. Kigawa’s feat deserves the highest praise, especially since it was combined with such alacrity and sensitivity to the musical material. Mr. Kigawa is a careful and serious-minded musician, quietly poetic and considerate” and from The New Yorker “Unbelievably challenging program. Kigawa is a young artist of stature.” Kigawa’s New York recital in 2010 was chosen as one of the best concerts of the year by The New York Times. He has performed extensively as a recitalist and soloist in New York, Washington DC, Boston, Cleveland, Paris, Milan and Barcelona, with appearances in Weill Recital Hall at Carnegie Hall, Alice Tully Hall, Severance Hall in Cleveland, Cité de la Musique, and Salle Gaveau in Paris, and Plau de la Música Catalana in Barcelona. He has collaborated closely with such renowned musicians as Pierre Boulez, Myung-Whun Chung and Jonathan Nott. 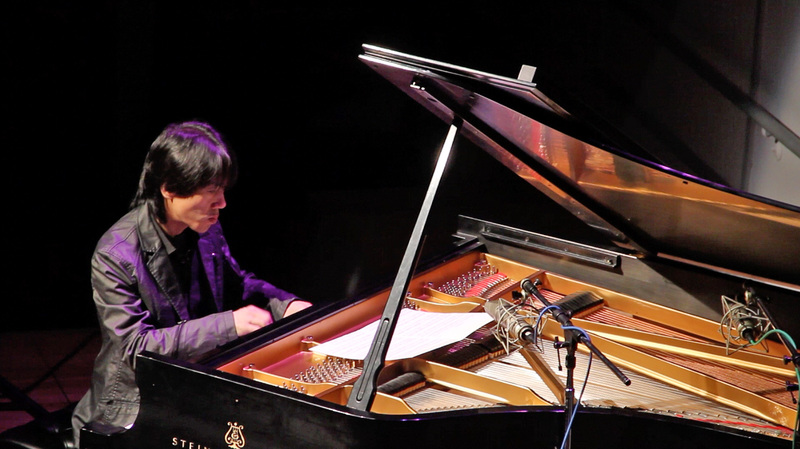 Mr. Kigawa graduated from The Juilliard School, where he earned his Master of Music degree. Jazz Composer Series is supported in part through an anonymous contribution.